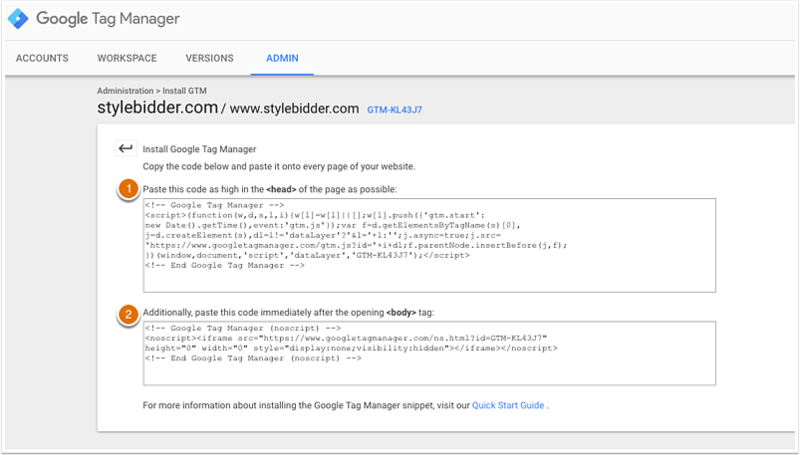 Google Tag Manager provides a code snippet that can be added to your pages in your HubSpot settings. 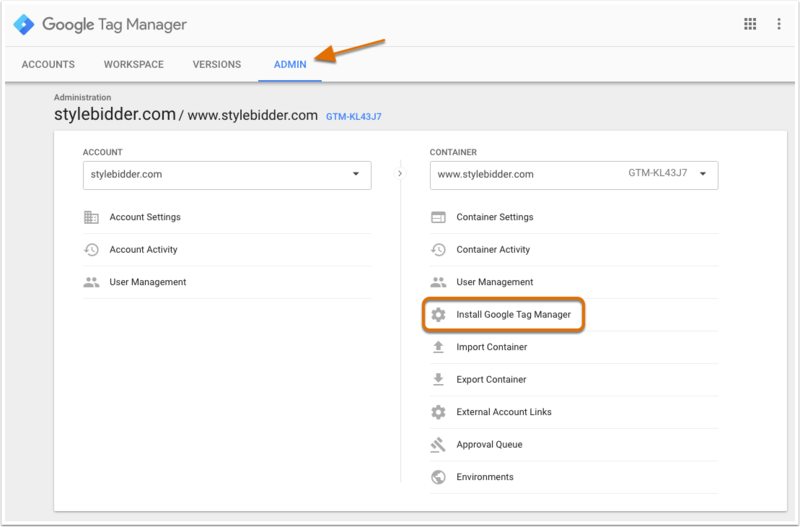 For more information about Google Tag Manager, see Google's getting started guide, which includes a page on common questions. Log in to your Google Tag Manager account. Under the Container column, click the Container that contains your tags from the dropdown. Click Install Google Tag Manager. On the next screen, you will be able to copy both code snippets (1) and (2) for your Google Tag Manager Container. Google also advises that the <noscript> snippet (labeled 2 in the above screenshot) is placed after the opening <body> tag. However, it can be added to other sections of the page, depending on a website's settings. See Google Tag Manager's documentation for more details. 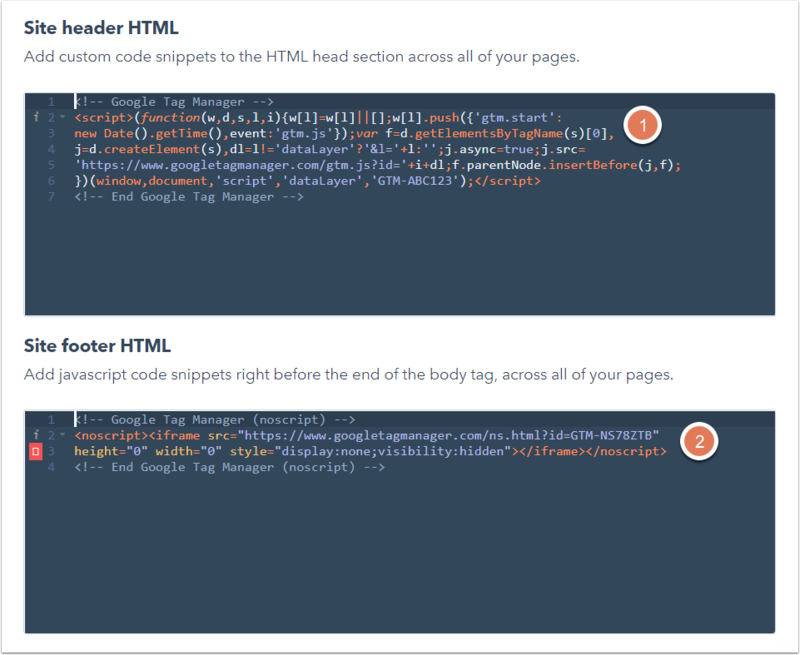 When adding code to the body of your HubSpot pages site-wide, you can only add the code directly before the closing </body> tag. This can be done in your settings in the Site footer HTML field. In the left sidebar menu, navigate to Website > Pages. Use the Modifying dropdown menu to choose a domain, or choose All domains to add the code to all your HubSpot-hosted domains. Please note: if you add code to the header or footer HTML for a specific domain, it will override any code you have placed in header and footer HTML for All domains. Learn more about the order that code is applied to your pages. Add your <noscript> code snippet to the Site footer HTML section.